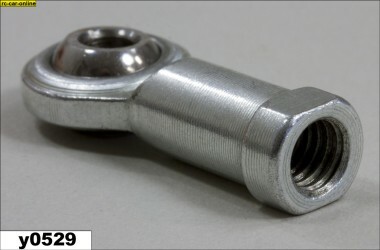 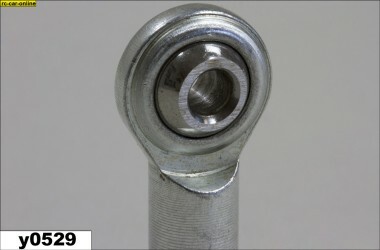 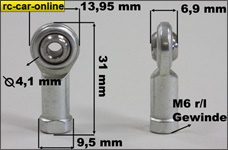 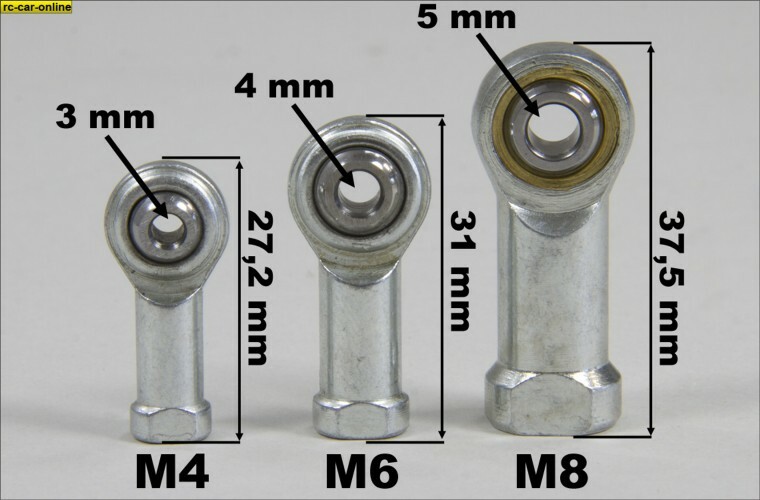 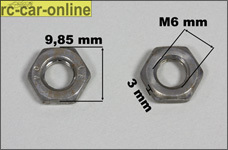 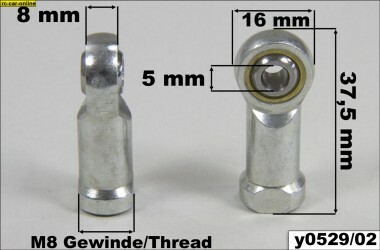 y0529/01 - Steel ball joint 4 mm r/h or l/h thread, 3 mm bore in ball, for servo saver/servo and other applications. 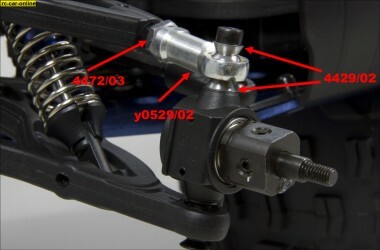 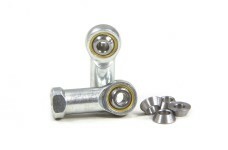 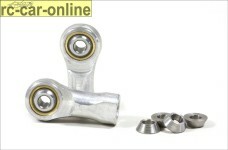 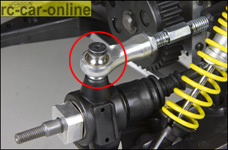 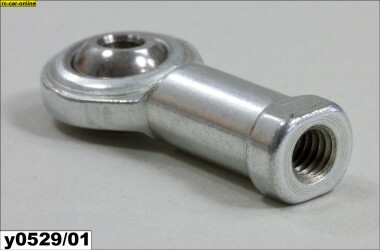 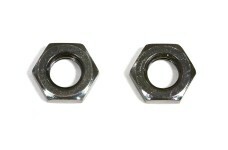 We recommend using a nut 54374 for locking the r/h thread ball joint to prevent the linkage from loss of adjustment. 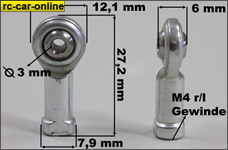 Steel ball joints 6 mm r/h or l/h thread, 4 mm bore in ball, for steering rods and other applications. 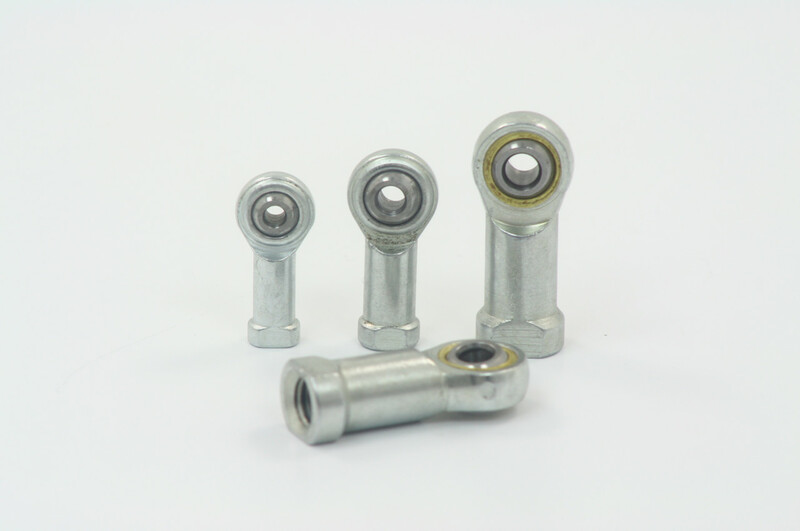 We recommend locking the ball joints using M6 low height nuts y0888 or y0889 to prevent the linkage from loss of adjustment. 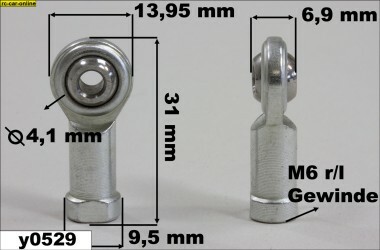 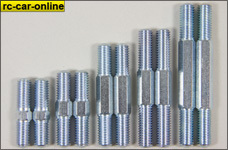 One pieces of steel ball joints with 5 mm bore in ball and M8 r/h or l/h thread. 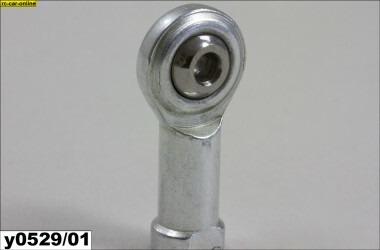 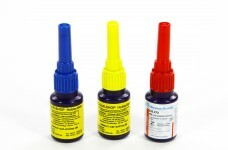 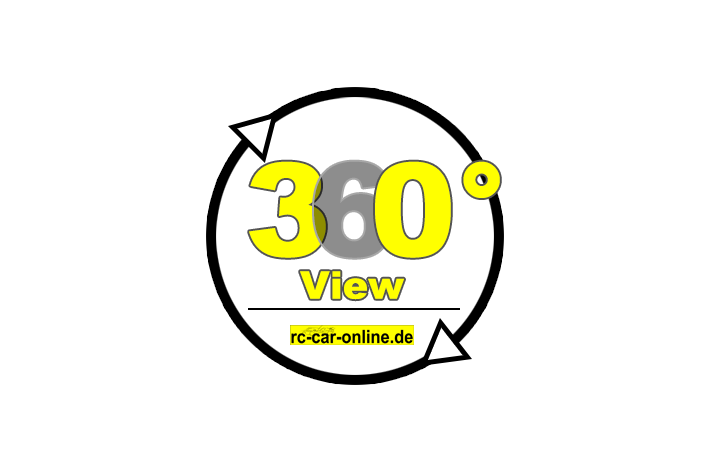 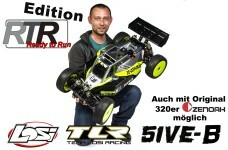 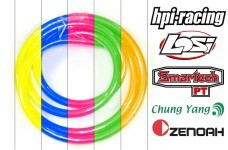 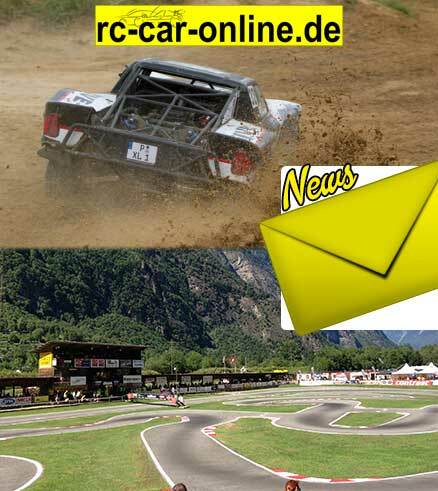 Suitable for most every 1/5 and 1/6 car! 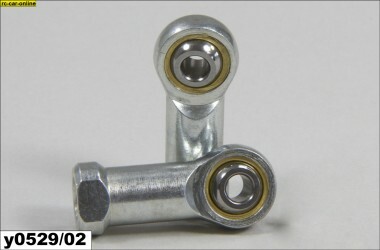 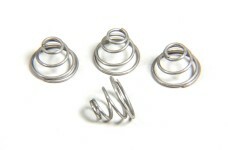 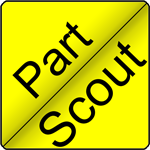 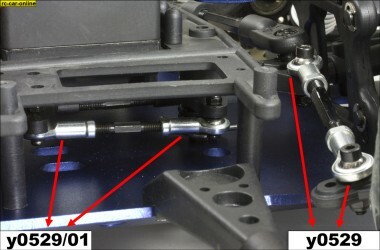 Replaces FG plastic ball joints # 6029/08 and # 6081/01 in conjunction with the conical spacers # 4429/02. 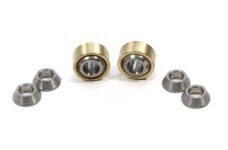 Replaces Smartech # 32409 and # 32446 as well. 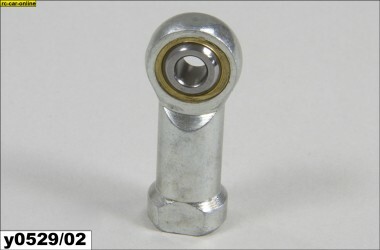 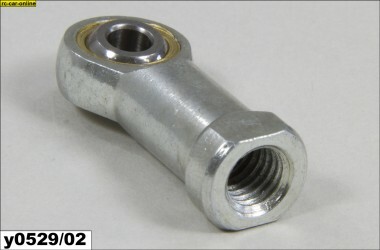 We recommend using a nut 4472/02 or 4472/03 for locking the thread ball joint to prevent the linkage from loss of adjustment.